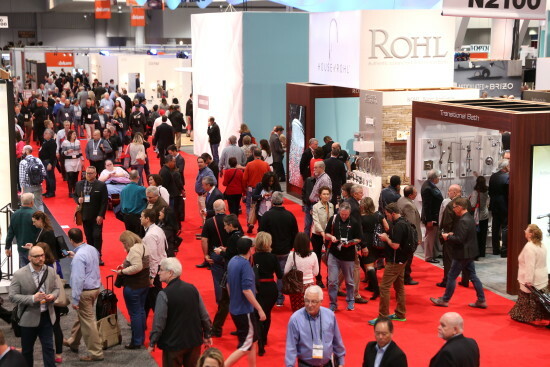 There was a lot of ground to cover at this years kitchen and bath show in Las Vegas. AN noticed a lot of consistent trends in terms of design themes and the newest must-have kitchen gadgets. 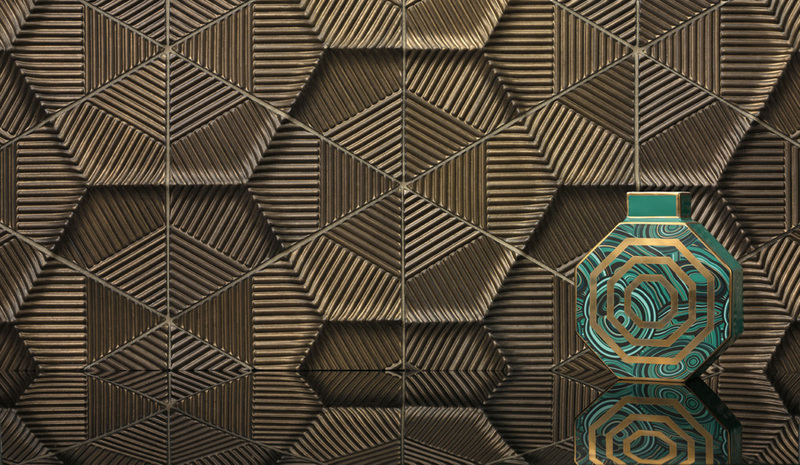 There were a lot of three dimensional tiles and printed surfaces happening at many of the booths that really caught the editor’s eye. For one, Walker Zanger had multiple wall tiles that resemble folded paper. 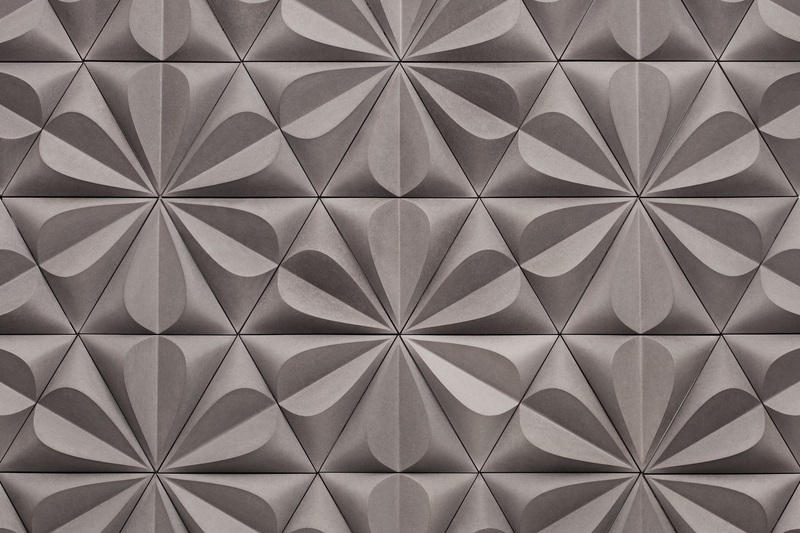 Ann Sacks showed tiles that looked more like foam panels than stone. 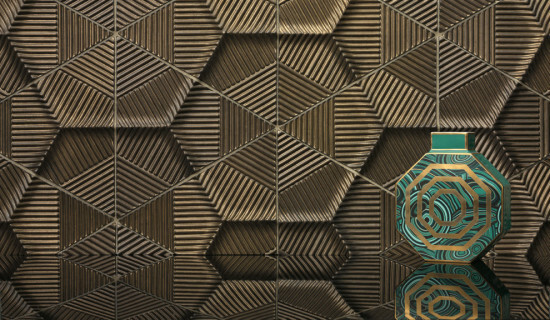 Additionally, Ann Sacks debuted a collaboration with designer Kelly Wearstler that showed grooved tiles that create a gorgeous rippling effect. From Futuristic toilets to state-of-the-art steam ovens, this year there were a lot of innovations to everyday appliances. 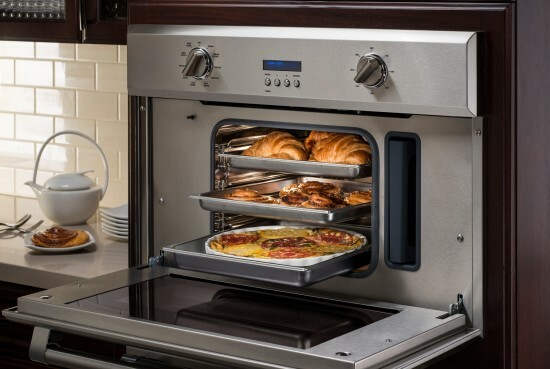 Gaggenau showed a beautiful combination steam and convection oven—equipped with the world’s first fully automatic cleaning system, as well as built-in options that allow for a whole new method of in-home cooking. Thermador also debuted a 60 inch Pro Grand Steam Range that includes a steam and convection oven alongside a 36” convection oven. It’s hard to believe that quite possibly the most exciting thing at KBIS was a hi-tech toilet, but with features like tornado dual-flush technology that only uses a gallon (or less) of water per flush, an automatic mist of electrolyzed water, and special glaze that utilizes nano technology, you hardly ever have to clean it. 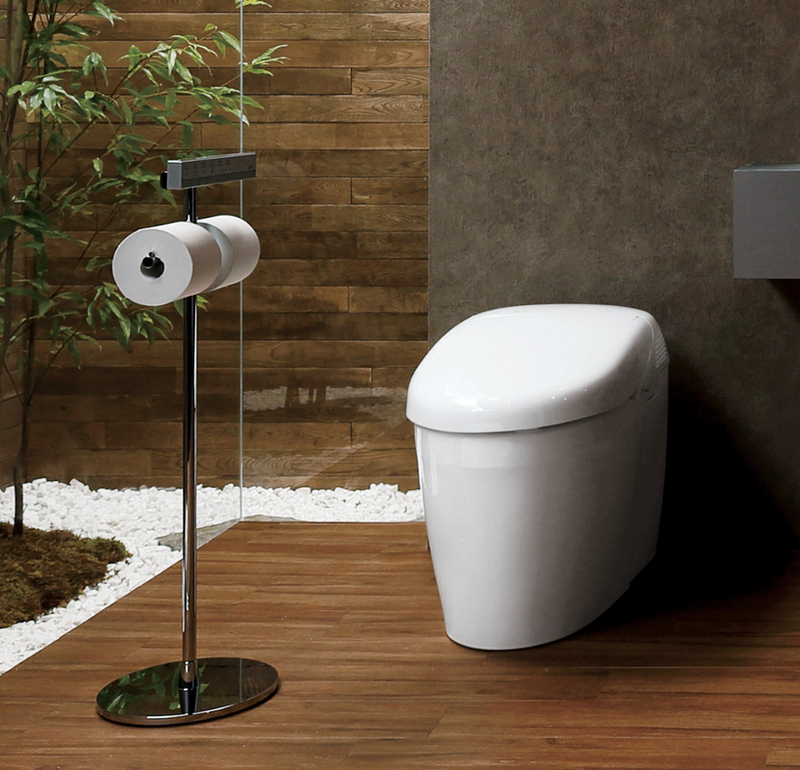 Plus TOTO‘s Neorest 550H has a motion sensor which means you never really have to touch it since it opens, closes, and flushes automatically. Beautiful design that doesn’t sacrifice function was a huge concern of designers at the show. Ronbow debuted their new signature series, consisting of eleven collections designed by nine top European designers. 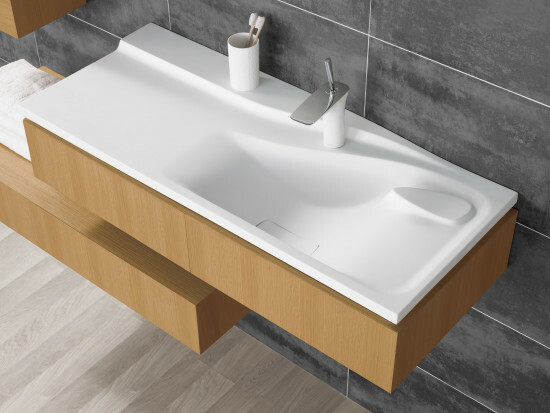 Every little detail was considered, including the addition of outlets and usb ports inside of drawers and cabinets as well as porcelain and marble drain stops that give a clean and minimal look to sinks. 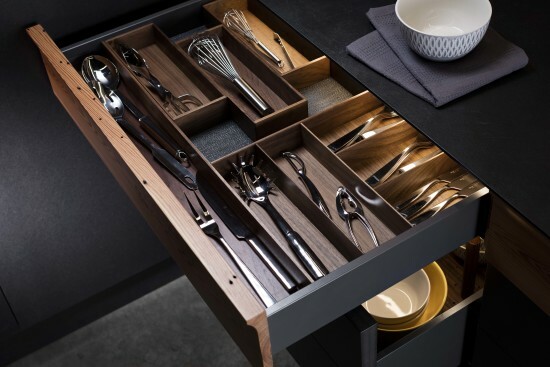 Häfele also had some sleek new designs that will make you rethink drawer and pantry organization. The inclusion of Loox LED lights in tight spaces allows for clear countertops and more room for beautiful appliances. They also offer non-slip surfaces that are standard in all of their products and easily movable organizational containers.